We are delighted to announce a special (post) New Year drinks reception on the Golden Hinde! Come and join alumni from Yale, Harvard, Princeton, Columbia, Duke, Stanford, Penn and Dartmouth to help overcome those post-festive season blues. Guests are welcome! 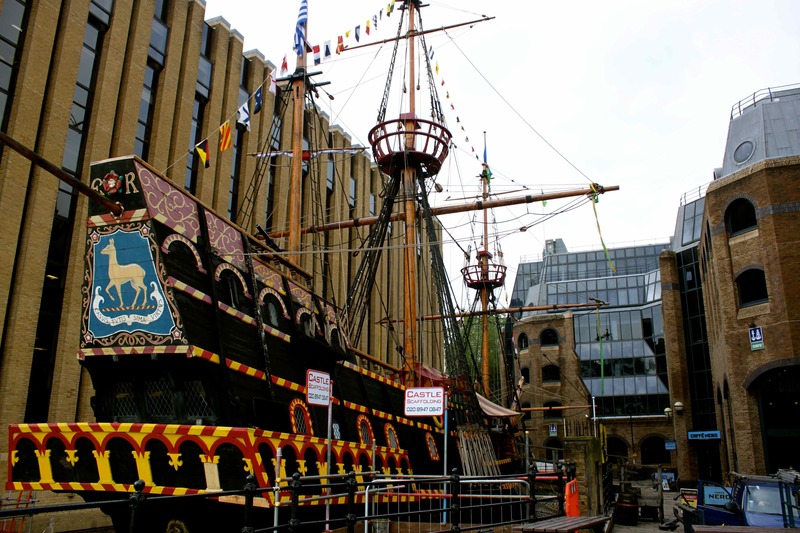 The Golden Hinde is the ship on which Sir Francis Drake circumnavigated the globe between 1577 and 1580. Drake was a captain, privateer, navigator, slaver, and politician of the Elizabethan era. To learn more about the ship, visit the Golden Hinde’s website here. Drinks tickets will be presented to each guest on arrival. After use of your drinks tickets, a cash bar will be available. Pirate-attire is encouraged! * A limited number of light nibbles will be available at the beginning of the evening, but you are encouraged to eat beforehand! A number of early bird tickets are available before Christmas; once these have gone, regular tickets will be available until Saturday 10 January 2015. Please register for this event via the eventbrite listing here. If you have any questions, please contact James Ford at james.ford@aya.yale.edu.